Kerrzy's Notebook: Kerrzy’s Notebook: Ivor (For The) Wynne? Kerrzy’s Notebook: Ivor (For The) Wynne? What a mess over in Hamilton! 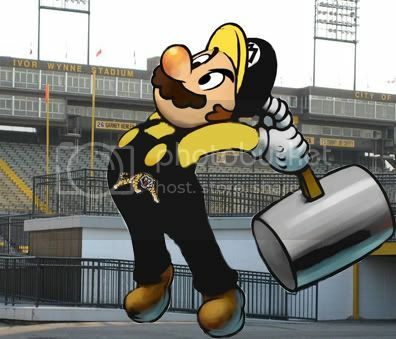 After months of meetings, disagreements, votes, committees, threats and grandstanding by both the owner of the CFL’s Hamilton Tiger-Cats and that city’s municipal government, it looks like it’s back to square one. Last week Hamilton city council voted to look into the feasibility of – get this – refurbishing the once “no longer viable” Ivor Wynne Stadium instead of building a whole new facility. Much like every other part of this stadium squabble though, the announcement didn’t come without a bit of controversy. Some Hamilton councilors are riled up about the process, and rightfully so! The city’s mayor, Bob Bratina, fired off an email at 5:45 am last Tuesday to let his colleagues know that a 20-year lease agreement had been reached, in exchange for a new-look Ivor Wynne. That’s right – the mayor made a deal and held a press conference about this before it was even formally presented to the rest of city council. Seems like Bratina was a little quick on the draw, doesn’t it? After a lengthy debate, council took the phrase “preferred venue” out of the motion, saying it gives too much to the team. Did I mention the mayor’s press conference was held in the Ticats dressing room? As for the renovations, the team wants to knock down and rebuild the south stands and make improvements to the north end, giving it a capacity of 25,000, at a cost of about $115-million. Around sixty percent of that money would come from “senior levels of government” through Pan Am games money, with the city coughing up the remaining $45-million (or most of it). Would you like to know what the backup plan is? Tiger-Cats fans better hope it doesn’t come to this: A 5,000-seat stadium at the west harbor location. Not only would that cut ticket revenue by about 80 percent, but also I’m pretty sure that 5,000 seats isn’t up to CFL standards! Lost in the shuffle here are the poor people of neighboring Burlington, Ontario, who were given some false hope over the holidays that they might end up being the new home of the team. The Spec says at least one Burlington councilor feels “jilted” by how things went down. Rick Craven told the newspaper that the Tiger-Cats approached the city about a new building on Christmas Eve – a $100-million venue that would have required no capital contribution from them. He says now they can’t help but feel a bit used, especially when the team admits they kept Burlington in the dark about the renovations they were also considering. That same article also says that the Burlington facility would have had a capacity of just 9,000 though, which simply isn’t enough. So, at the end of the day, here’s where they’re at: City Council gets a look at this report on Monday and will have a week to decide whether or not to go forward with it. That takes us to January 31st, which is one day before the Pan Am Games deadline to confirm plans for a stadium. If this matter isn’t resolved by then, that big chunk of “Pan Am” money goes out the window and the city embarrasses itself in front of whoever is watching – the people of Hamilton, the province and the rest of Canada, the CFL community, and of course the Pan Am Games people. Personally I’m not sold that this thing is a done deal just yet – there have been twists at every stage so far and the delivery of this news to the rest of Hamilton city council (and the sour taste it left in the mouths of some) could be a big factor in whether or not it passes. The prospect of rebuilding after the idea that a new building would be put up has to be disappointing to everyone involved, but I guess you have to go with what works. Do you think they’ll get it all sorted out by that deadline? Are you disappointed to learn that, after months of talks, the two sides opted for renovations instead of a new facility? Should both sides here be at least a little bit embarrassed about how things have gone so far? Kerrzy & Migs Friday WorkOut! 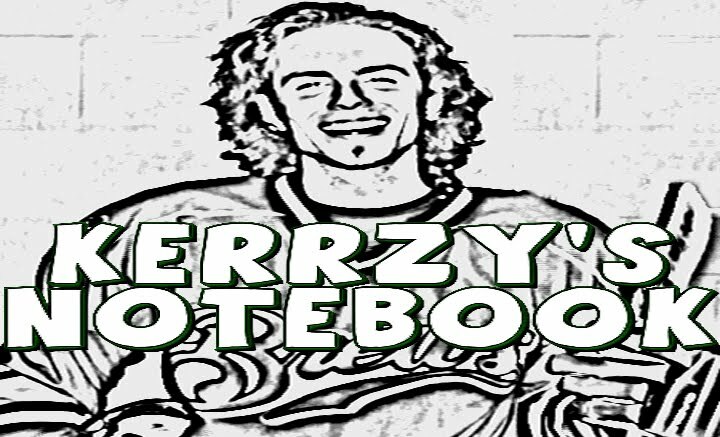 Kerrzy’s Notebook: Happy Birthday Wayne!